The “deck-o-seal” is actually a water barrier. 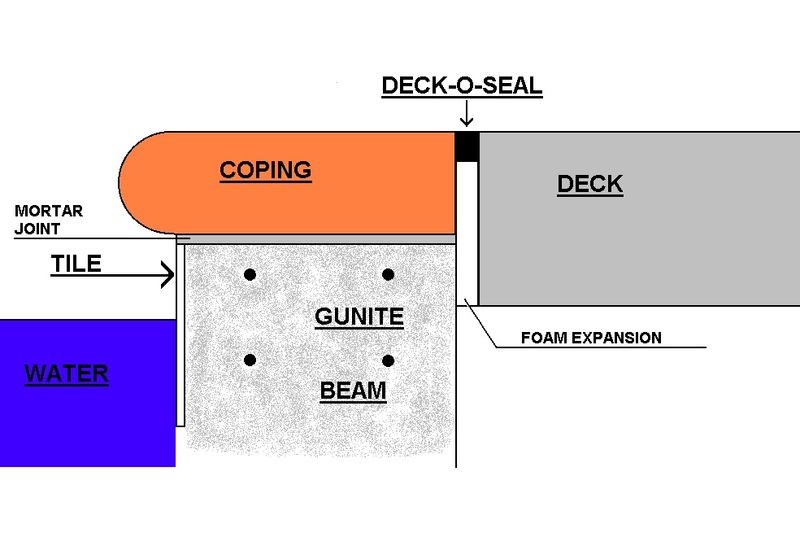 “Deck-o-seal” is a brand name for a two part mix which is poured into the space between the coping and the deck. A sand base is used to fill up most of the space and the deck-o-seal is poured on top of the sand (rules are no deeper than the width of the joint). If applied correctly and if the deck does not move too much, this should last approximately 5 years before needing to be replaced. Previous Previous post: Best automatic pool cleaner on the market!